In the middle of march, Elliott - the activist hedge fund run by the billionaire Paul Singer - started to climb the Italian largest telecoms company, building a position of almost 6 per cent. 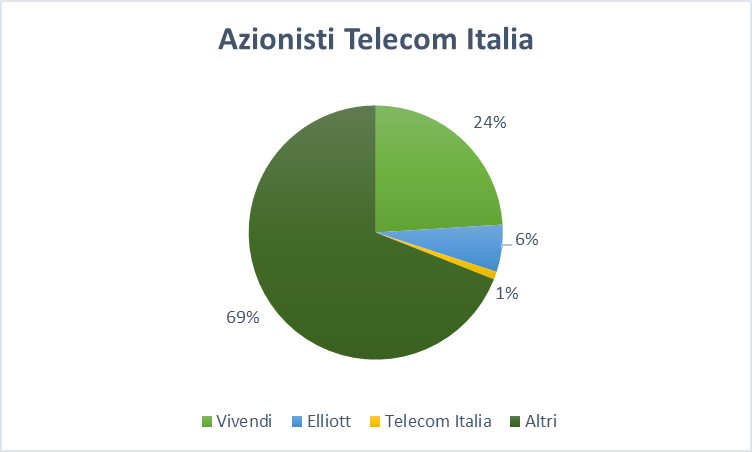 After having revealed its position in Telecom Italia, which is controlled by Vivendi, the media conglomerate owned by Vincent Bolloré with 24% of the shares, Elliott said that it would fight for governance changes trying to push the company back to its glory. In a letter to Telecom Italia’ s shareholders Elliott wrote: ”Elliott believes that TIM is uniquely positioned in the Italian market and operates an outstanding collection of assets that, if properly managed, should produce substantial, consistent returns for its shareholders while providing a vital, high-quality public service. However, poor stewardship under the Vivendi-controlled Board has resulted in deeply troubling corporate governance issues, a valuation discount and strategic failures”. Then concludes: “Elliott believes a truly independent Board is now required to improve both governance and performance at TIM”. Telecom Italia was privatized in 1997 and since then a long series of changes in governance have begun. This instability combined with the non-existence of a long-term view have led to a consistent rise of the corporate net debt, from €8 billion in 1999 to €25 billion in 2018. 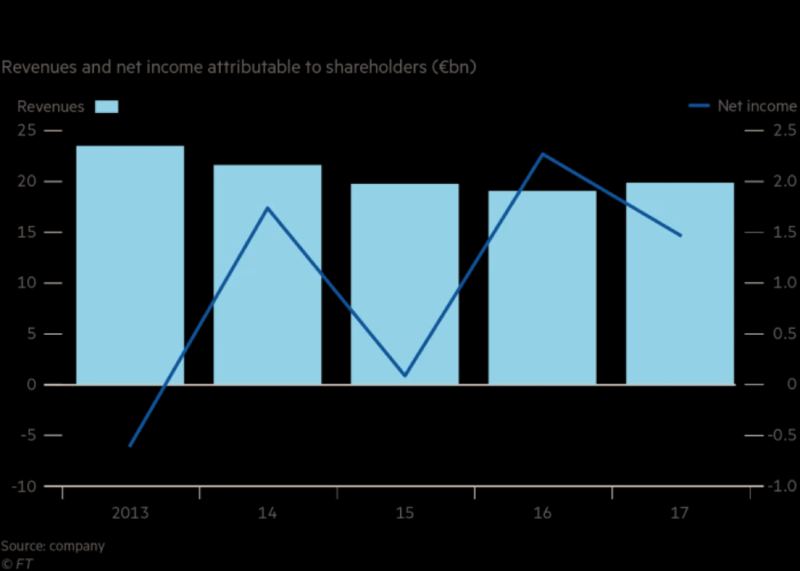 Also, revenues are struggling and, after a slight increase from 2016, are now around 20 billion euros, while net income has fallen by 30% to 1,5 billion, due to extraordinary costs. Furthermore, instability has not helped to solve the problems afflicting Telecom Italia since its privatization in 1997, such as the separation of the company’ s fixed-line network unit from the service unit, in order to create a more competitive environment in the Italian telecommunications market. Progress on this problem are being carried out by the current CEO Amos Genish, who in collaboration with the Italian government is planning to spin off the fixed-line unit. Despite recent returns to growth in both revenue and EBITDA after years of persistent declines, TIM’s stock remains significantly undervalued, said Elliott. The value of TIM’s ordinary shares “fell more than 35% from when Vivendi nominees joined TIM’s Board of Directors in December 2015 to the day before Elliott’ s interest in the Company was made public”. The fund argues that the Vivendi’ s strong conflicts of interest and lack of corporate governance have led the company to a stagnation, managing Telecom Italia against the interests of minority shareholders. Elliot believes that both the strategic direction and growing governance issues in the Company are the cause of the share price underperformance. For these reasons, three weeks ago, Elliott Management called for a board overhaul and nominated a slate of directors to replace Chairman Arnaud de Puyfontaine and five other Vivendi-backed board members, with the aim of building a more independent board of directors. It may be an uphill battle for Elliott and Singer because Vivendi owns 24 percent of the company, and Elliott has to collect the support of many minority shareholders. Moreover, in its letter to the shareholders, the fund accused Vivendi of exercising its control without regard for minority shareholders’ divergent interests, using its de facto control of Telecom Italia to assign commissioned work to its subsidiaries and to award top management positions to people under a strong influence of Vincent Bolloré. Vivendi responded to this harsh attack led by Elliott Management with fire. Last week eight TIM’ s board members resigned, which according to the company bylaws means that the entire board must be re-elected and Elliott’ s plan to replace Vivendi-backed board members is now partially gone. The board shake-up was instigated by the French media company, and among those who resigned are Arnaud de Puyfontaine, the executive chairman who is also chief executive of Vivendi, Hervé Philippe, Vivendi’ s finance director, and Frédéric Crépin, general counsel. Furthermore, the company controlled by billionaire Vincent Bolloré, warned the investors about the short-term philosophy of the hedge fund, saying that Elliott target is to “dismantle Telecom Italia”. In response, Elliott said in a statement: “The board has simply abandoned their posts to stall for time. Elliott regards this action as cynical and self-serving”. At the same time, during the billionaires’ battle, the CEO Amos Genish tries to remain as discreet as possible, bringing forward his three-year plan, whose goal is improving free cash flow, reducing the company’ s debt and reintroducing dividend payments. Even if the battle is expected to be harsh, the stock market response has been positive. The price surged immediately after the first Elliott’ s communication on Telecom Italia, and is now trading at its two-years highs. However, not all the analysts believe that Elliott could lead to a Telecom Italia restore. “The idea that we could see a frictionless change of strategy that would deliver a silver bullet and create a lot of value for TI shareholders […] is reminiscent of similar false dawns in the past”, says Georgis Ierodiaconou, an analyst with Citi. The showdown was expected on April 24 but the board exodus means the two sides will now go head-to-head at a shareholders meeting on May 4, for which they have to present their list of candidates before April 9.